“We got no ship, no crew – how’re we going to get out of this one?” – Captain James T. Kirk. 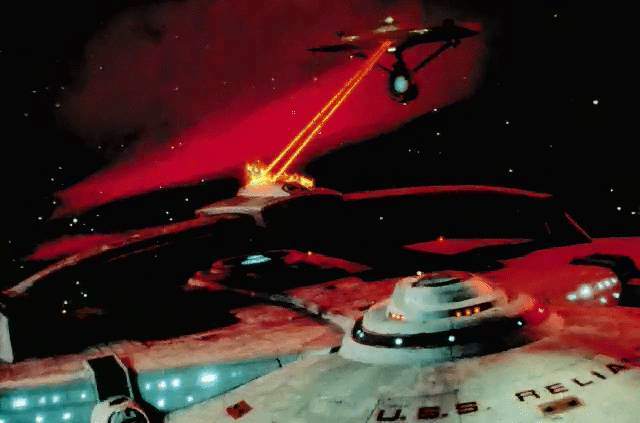 In the 50th Anniversary year of Star Trek, insurmountable pressure gnawed at the thirteenth film in one of the all-time revered franchises. 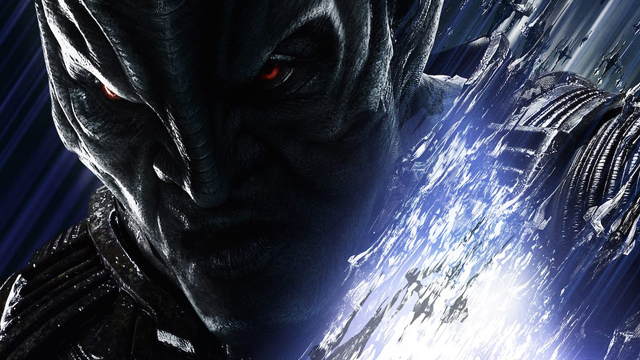 Luckily, Star Trek: Beyond certainly turns out to be an enjoyable outing. It’s bright, energetic and – dare one say it – fast and furious. Yes, it IS quite good, and whenever it appears on TV, a second viewing won’t hurt. 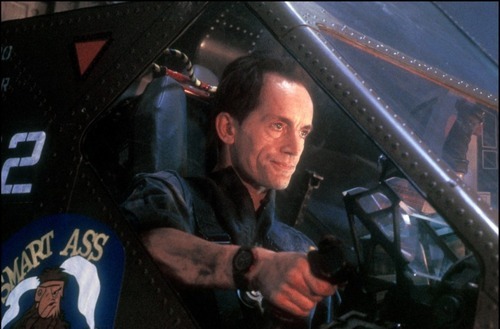 But in honouring this franchise’s half-century, it falls well short. Stardate 2263.2. 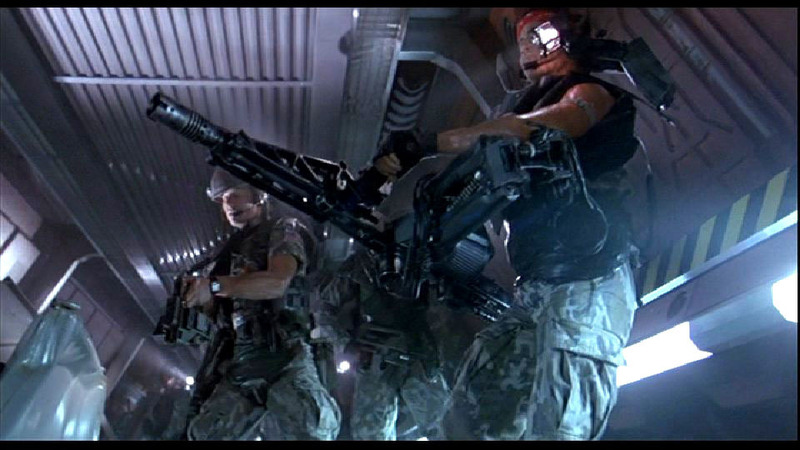 On their 966th day in deep space – a little under three years into that five year mission – and an alien threat never encountered before attacks the USS Enterprise and splinters it in spectacular fashion. Yeah, this starship is the most ridiculous and LEAST aerodynamic design in SF history, but watching it destroyed in increasingly diverse and dramatic ways is quickly becoming tedious. Actually, Beyond’s strongest aspect has to be the visuals, and the conceptualization and realization of Starbase Yorktown is especially mesmerising. A few more gliding and panning shots of that would have sufficed, thank you very much. “Unity is not your strength. It is a weakness” – Krall. 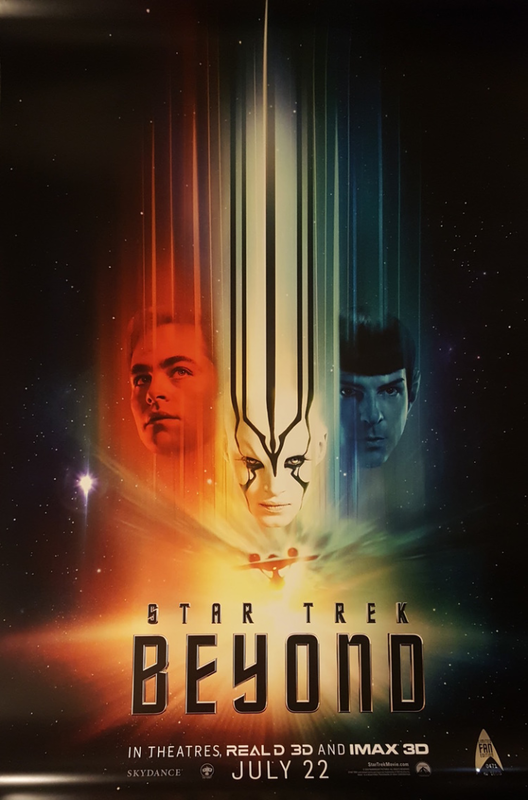 Star Trek: Beyond… what, exactly? Not only does this title not signify anything specific, but this whole exercise (released now to coincide with the 50th Anniversary of the franchise) does not really recapture the rather sedate – and not too furious – spirit of the original series. 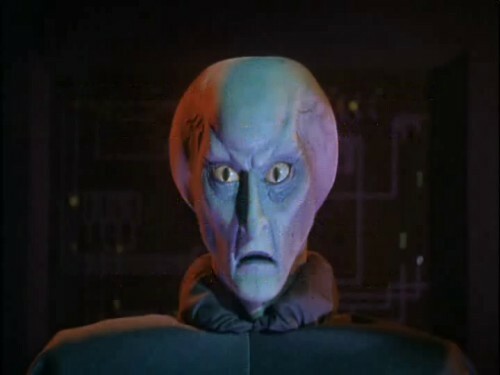 The villain: Krall is your typical ho-hum nasty Trek alien: prosthetically-challenged? Trek! Glowers at all the good guys (and gals)? Trek! And spouts incomprehensible, yet coolly sinister, galactic lingo in his deepest and most menacing voice (this time by Idris Elba)? Trek! 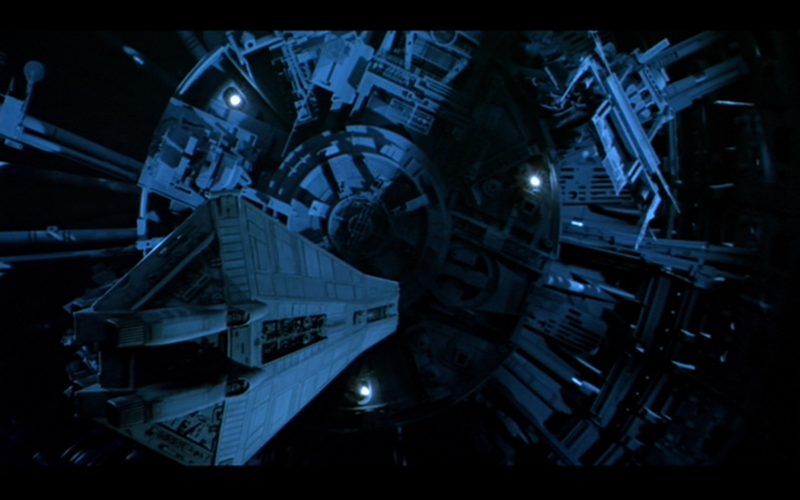 Great entrance, but subsequently doesn’t do anything dastardly distinctive. Sure, the cast do recreate (re-energize?) the original characters with gusto, particularly Chris Pine (as Kirk) and Zachary Quinto (as Spock) who fit better than ever into their iconic characters. After all the kerfuffle over “outing” Sulu, his relationship is merely implied – nothing sordidly frightful enough to vex the Chinese censors. My personal fave is Karl Urban as “Bones” McCoy. The interaction between him and Spock is particularly commendable (the closest you can get to recapturing the essence of the original show). “Ah, he likes that chair…” – Montgomery “Scotty” Scott. What’s the point of her showing up on set at all if she is not going to get to do anything of any consequence?! Oh, by the way: why the blazes did THAT BLOODY BIKE have to be on the Franklin, apart from allowing Kirk to look cool (and feel-young-again-annoying-cliche-alert)? ” You spent all this time trying to be your father, and now you’re wondering just what it means to be you” – Dr. “Bones” McCoy. 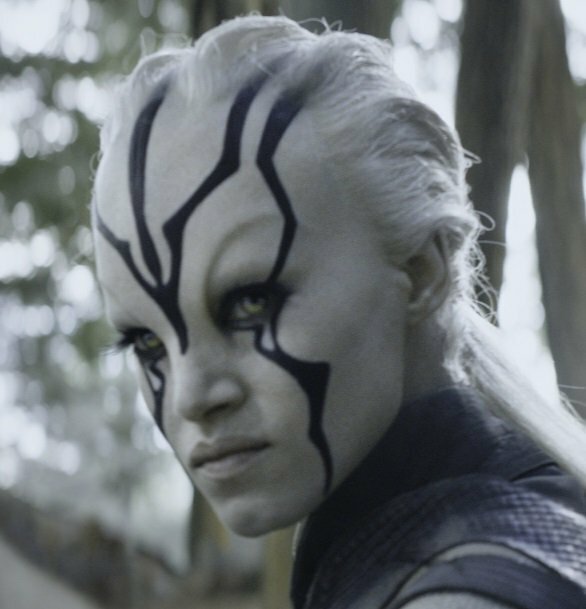 Personally, my extortionate popcorn parlour ticket would have been better spent had Jaylah been the main figure (character woud be preferable but that would mean the writers having to flesh her out more), trying to save her people from the fiendish Krall. Replace the crew of the Enterprise with a bunch of anonymous Starfleet expendables (remember to order the RED uniforms, darling) and you might get to learn more about Krall as well. 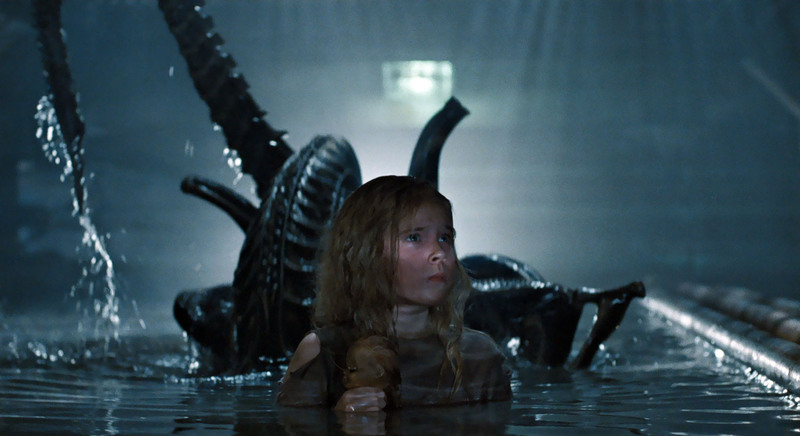 The problem is: after 13 movies, where else can this franchise hypothetically (okay, if you will, boldly) go now? And just as one suspected: this movie – along with the last ten – fail in comparison when placed alongside the great Star Trek II: The Wrath Of Khan. 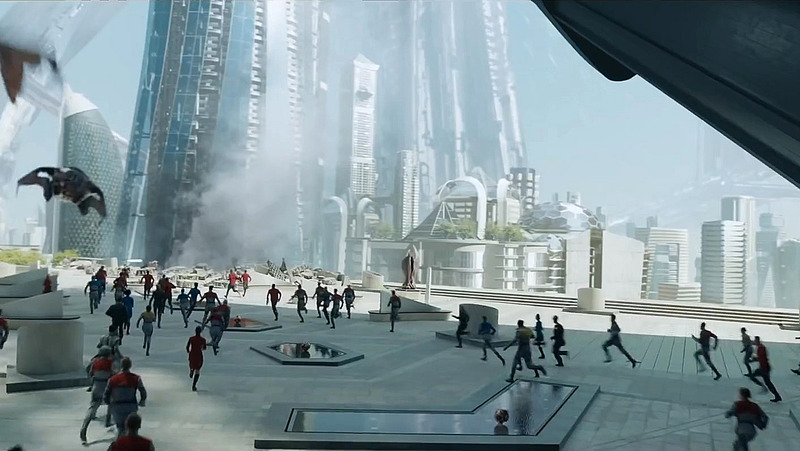 This 21st century version of a 20th century vision of the 23rd century may divide critics and Trekkies alike, but it provides decent enough entertainment, and still managed to silence that gang of obstreperous younglings in the back row who kept jabbering throughout the Trailers. “I fail to see how excrement of any kind plays a part…” – Spock. What Better Way To Celebrate 50 Years Since The Starship Enterprise First Set Out On Its Mission To Explore Strange New Worlds? “This is damned peculiar…” – Admiral James T. Kirk. Back in the day, the original TV series went out at 6pm on Monday evenings – something to watch while eating dinner, no more. Personally – in the year in which Star Trek celebrates its 50th Anniversary – some of the original scripts, not to mention most of those costume designs(! ), have not stood the test of time well. “He tasks me! He tasks me and I shall have him! 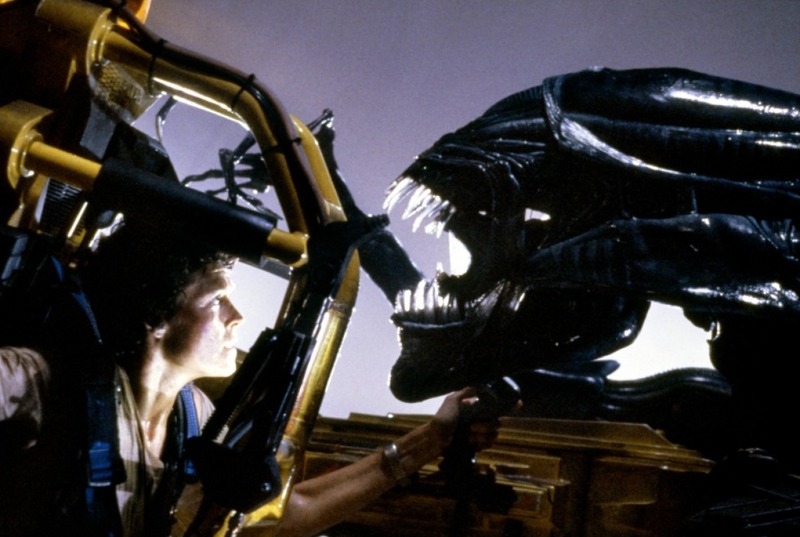 I’ll chase him round the moons of Nibia and round the Antares Maelstrom and round Perdition’s flames before I give him up…” – Khan Noonian Singh. Alas, the Motion Picture failed partly due to baring no resemblance to the legendary TV series that spawned it. However, by reintroducing one of the series’ more charismatic villains, from the 1966 episode: Space Seed, the stage was set for an epic showdown. 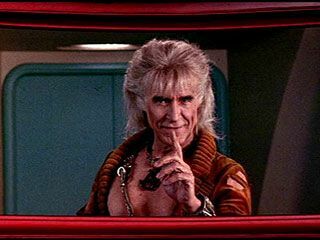 Sure, at once, Khan made very much an 80s villain – big hair and big pecs – and as Shatner and Montalban both exuded larger-than-life characters, the scenes they shared together were electrifying, reslting in some of the best exchanges in SF cinema. Charismatic yet dastardly, Khan is actually one of the great SF villains – now universally regarded as such. Goodness knows what said same hack makes of some of the lacklustre villains we have had to endure in recent big screen offerings! To hell with the fact that Ensign Chekov didn’t even appear in the original Space Seed episode so wouldn’t have recognised the significance of Botany Bay! Look past this obvious goof and get immersed in the flawless and endlessly riveting outer space action! Also mercifully extricated was the first film’s inexplicable predilection for dentist uniforms; sure, in 1979, that sort of thing would have been expected, but in 1982 – the year that also brought us Blade Runner, Tron and The Dark Crystal (remember that?!) – big and bold visions were the IN thing. “Admiral, the Commander of the Reliant is signalling. He wishes to discuss terms of our surrender…” – Lt. Uhura. While there could not have been any Trek movie without the phenomenal success of Star Wars, again, one redeeming fault of the Motion Picture was the banal – and, quite frankly, tedious – way in which it tried to be too cerebral. Good to see this sequel jettison all that. 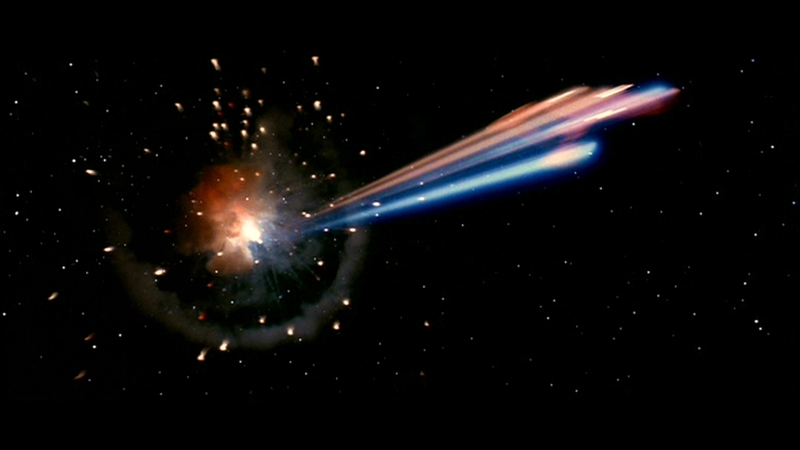 …As was the Battle in the Mutara Nebula. 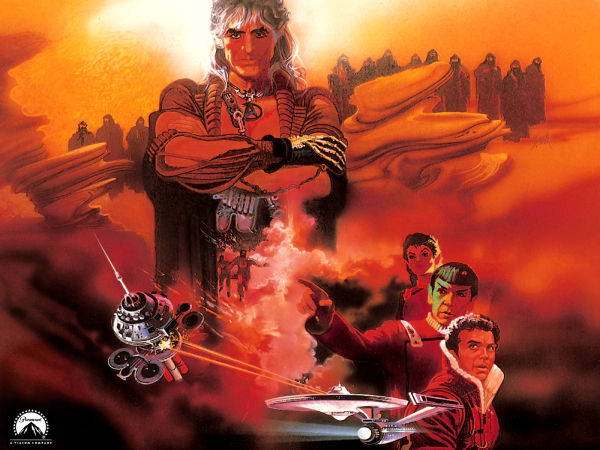 And, after all this time, Star Trek II: The Wrath of Khan is still the yardstick by which all new Star Trek movies are judged. 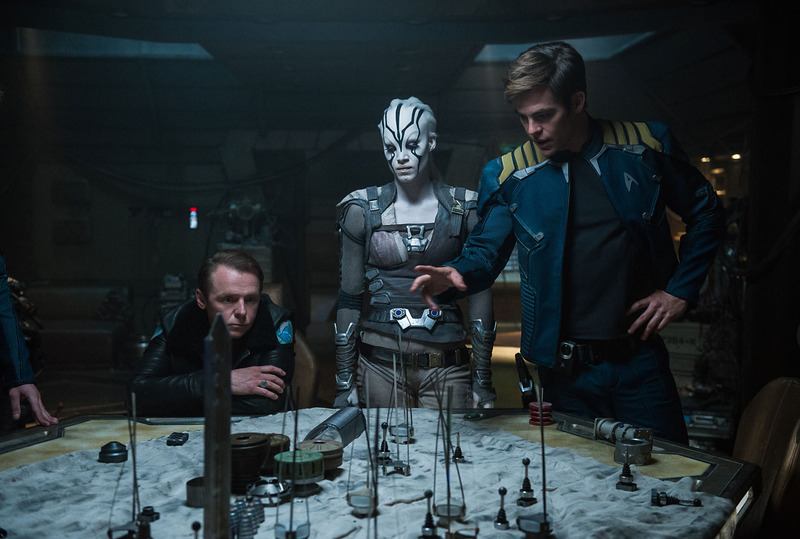 Will the brand new Star Trek: Beyond be able to sit comfortably beside it? “I have been, and always shall be, your friend” – Spock. Obviously, the great twist: SPOCK DIES was such a bold move. Apparently, there was only ever to be these two movies, and to have one of the central characters meet his end seemed the only (ahem) logical way to end it all. 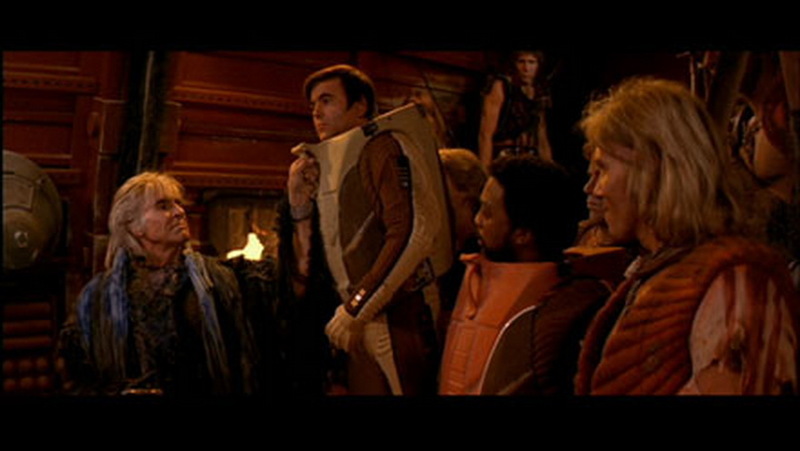 This scene – according to Hollywood legend – was the only reason that Leonard Nimoy agreed to reprise his most famous role anyway. 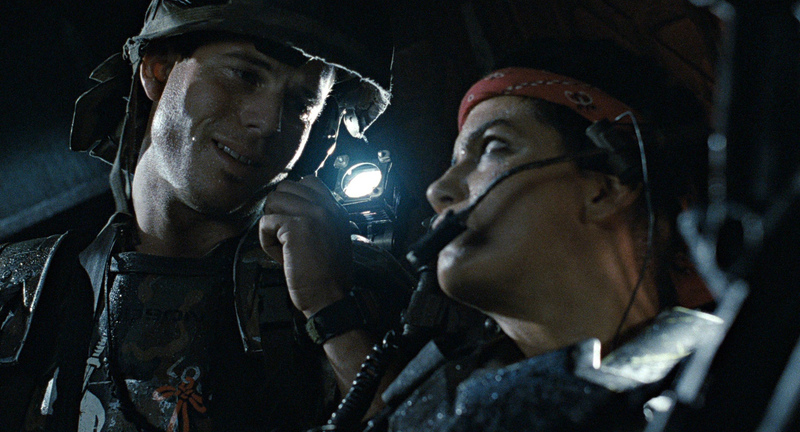 It still puts a lump in my throat every time it comes on – a superbly acted and directed sequence. 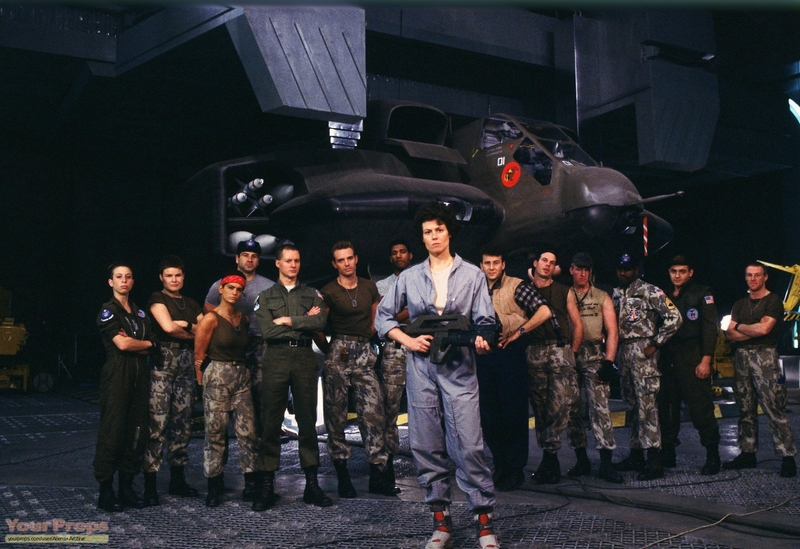 Such a shame that the huge box office success of Wrath Of Khan meant that Star Trek III had to go ahead. And with one of the most ludicrously contrived plots ever committed to film as well! What would modern SF cinema look like today if the Trek franchise had ended with the view of Spock’s coffin on Genesis…? “Are you out of your Vulcan mind? 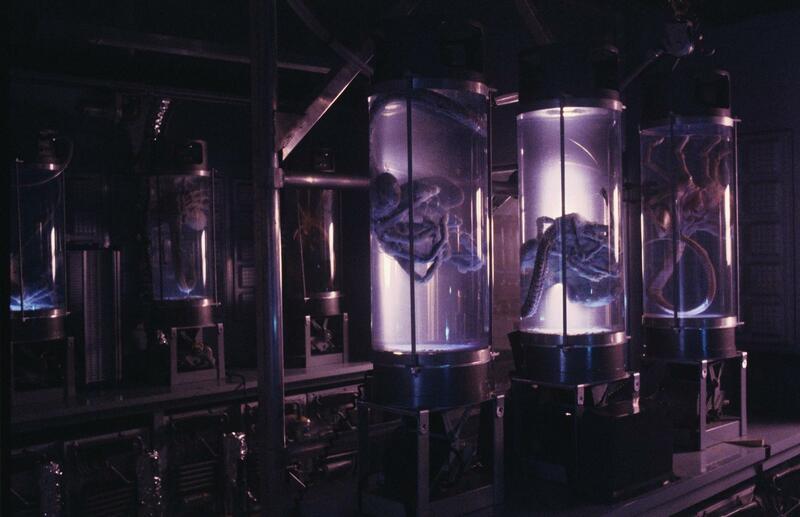 No human can tolerate the radiation that’s in there!” – Dr. McCoy. Star Trek: Beyond is in cinemas now. 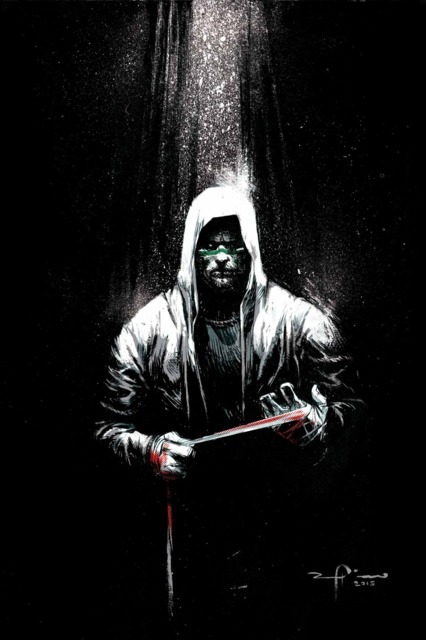 KARNAK: The Most Awesome New Comic Book You Will See All Year! Everything Has It’s Weakness, Even The Bonds Of Death. To Him, Weakness Is A Weapon. He Sees It And Exploits It. “Magister is apparently the Inhuman name for high priest or top philosopher guy or something. And he registers smiling as an insult. Follow my lead…” – Agent Phil Coulson. For the first time in twenty years, all that changed last week. And what title was so unputdownable, that it just had to be taken home with me? 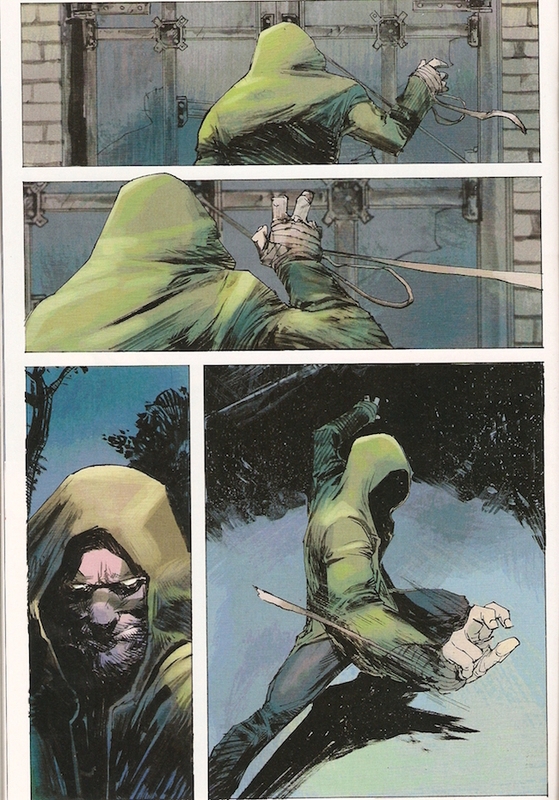 While searching for images of suitably moody and/or mysterious hooded figures to illustrate my fiction blog, these illos of such a figure, but with curious green stripes across his face grabbed my attention. This character – going by the moniker of “Karnak” proved immediately striking. 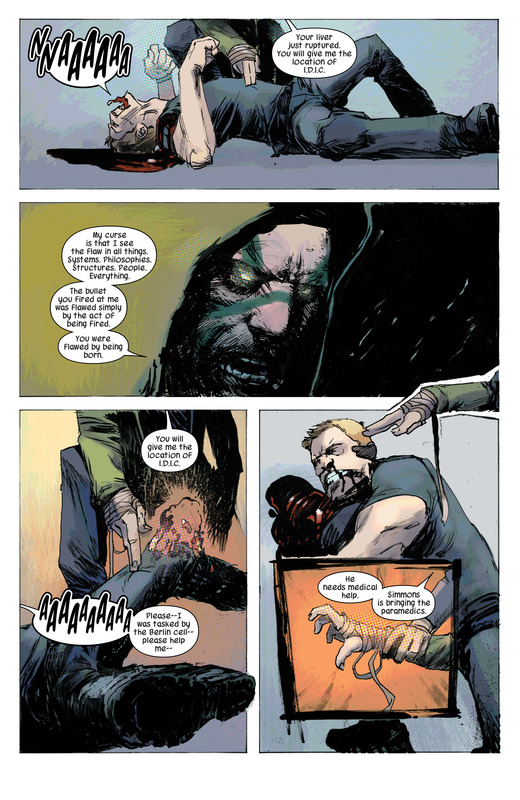 Marvel’s Premier issue of Karnak came out in December. To say that this character has received a MAJOR overhaul since making his debut in Fantastic Four #45 in 1965 would be the understatement of the century. 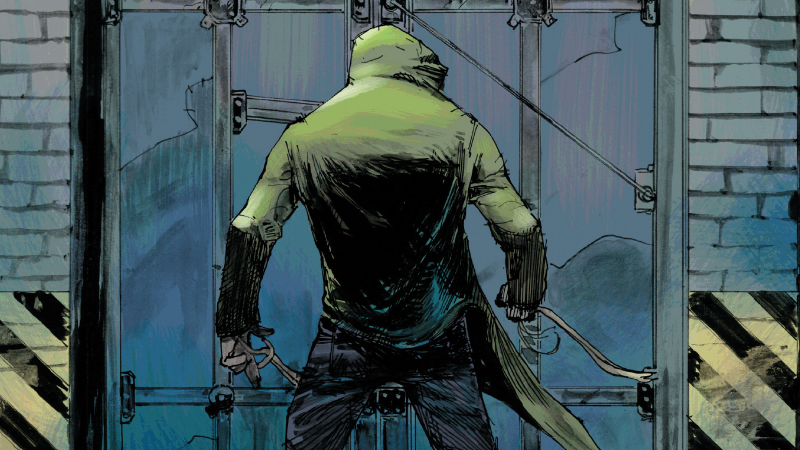 And then check out this panel from the new Karnak series. Wow: such a brutal bunny. “I think he just smiled then. What does that mean?” – Agent Simmons. Ironically, here’s me, attempting to branch out to comic book writing and along – seemingly outta nowhere – comes this jaw-dropping title with blitzing art by Gerardo Zaffino, which is more powerful and more visually striking than any engaging written script! Who the blazes is this guy?! Essentially, Karnak is a member of the Inhumans – yes, the same Inhumans whose promised movie has been delayed to accommodate yet another Spidey-flick. 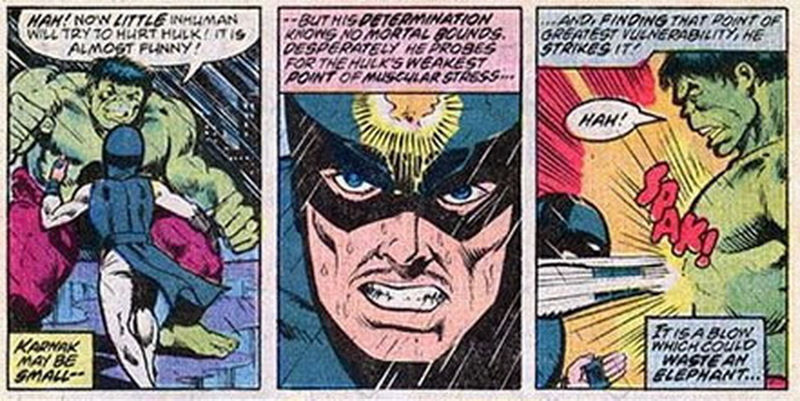 Hard to believe he was created by Stan Lee and Jack Kirby way back in 1965. This 2015 manifestation, on the other hand, is a warrior-monk with little time – or patience – for the petty problems of humans. His extraordinary power – channeling an incomprehensible telekinetic energy which, just by pointing or swiping his fingers, can shatter bones and burst internal organs – surely makes Karnak one of the deadliest characters in the Marvel Comics pantheon. The fourth issue of Karnak should be in all good bookshops by now. …And it oughtta be in my collection pretty darn soon. “…He’s got no qualms of doing anything to get the job done. 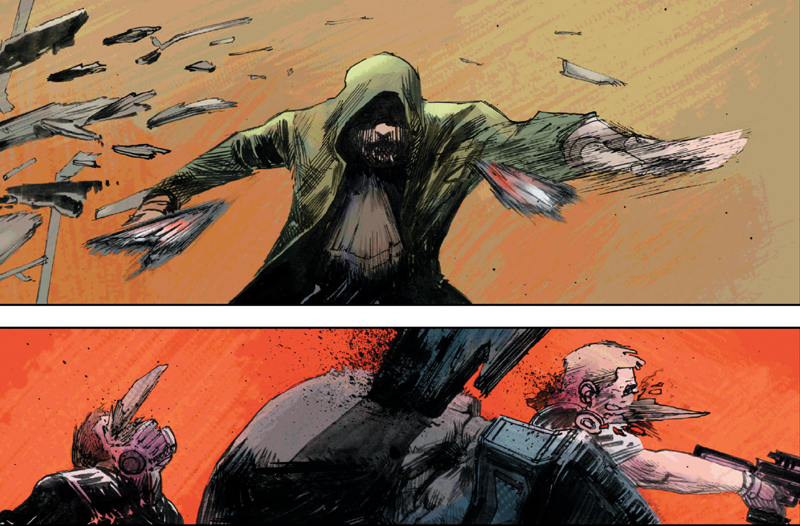 As long as he can do it by being a badass… Karnak can see the flaw in everything. That includes bullets, so he can slice them in half with a single swipe” – James Whitbrook. Just when it seemed that all the major ideas and stories had been done, so here is Karnak to demonstrate – in the most devastatingly cool fashion imaginable – the jaw-dropping wonders that can be achieved through the innovative-as-ever medium of comics. In this first issue, he tracks down a double agent in S.H.I.E.L.D. Ha ha! No, not Steve Rogers! 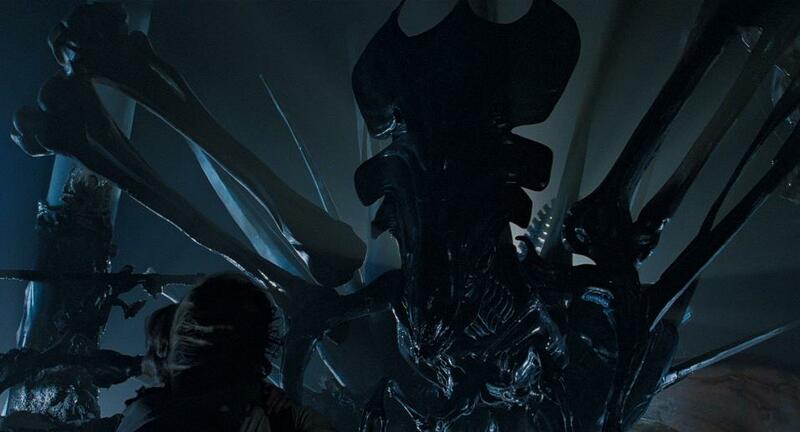 As hooded figures are my favourites, they don’t come much cooler than this fella. This Post will leave you with – quite simply – the most awesome single page you will ever see this year… or any year for that matter. DARE YOU to present to me any other comic book thrill-power MORE gob-smacking, MORE outrageously exciting than this published now! “Friends, I must again leave you for a while, to engage the human world and secure our own future. While I am gone… remember to clean the latrines” – Karnak.